Brian Burnie, founder of Daft as a Brush Cancer Patient Care delighted to receive the Prime Ministers ‘Points of Light’ Award. 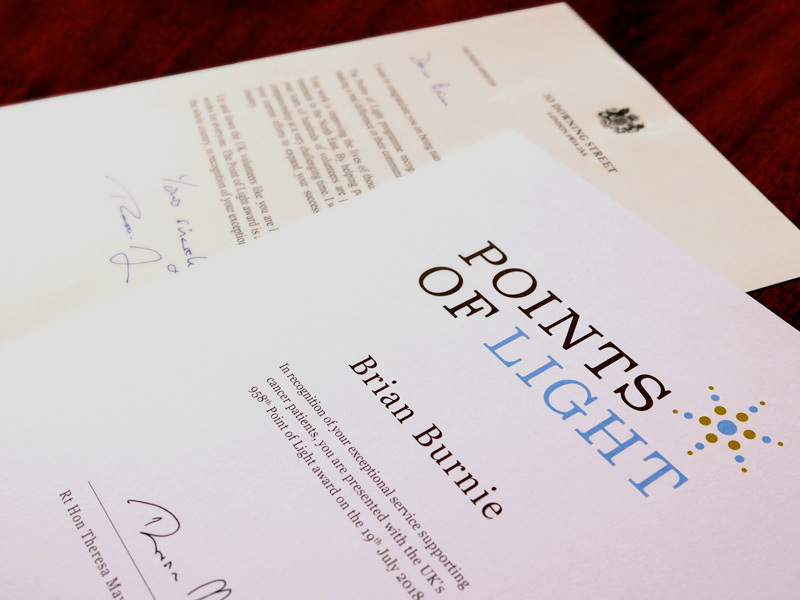 Today, Thursday 19th July 2018, the Prime Minister has honoured Brian Burnie for his inspiring voluntary work with a Points of Light award. The Prime Minister’s daily Points of Light award recognises outstanding individual volunteers – people who are making positive changes in their communities. The UK award was set up in partnership with the US Points of Light Foundation, which was established over 25 years ago and has since recognised over 6,000 inspiring volunteers in the US. 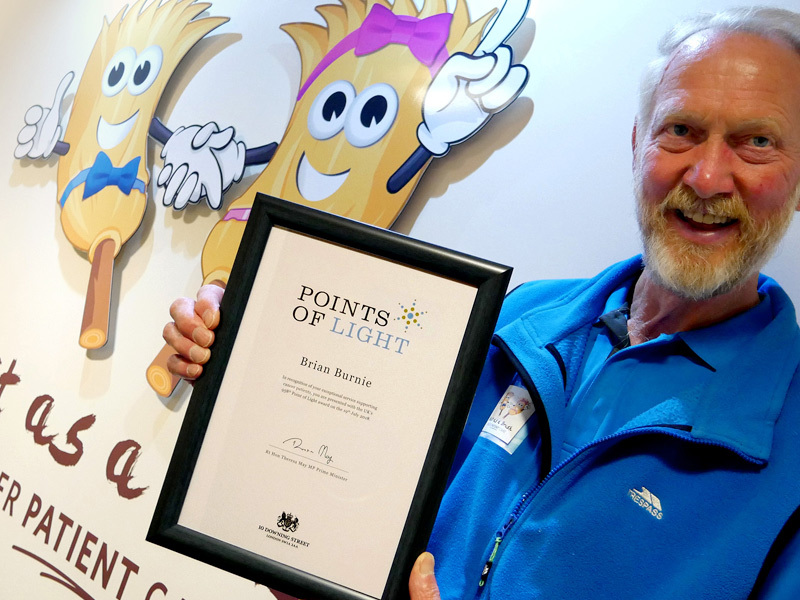 We are delighted to announce that Brian Burnie will be the UK’s 958th Point of Light. Essentially this is a way of the Prime Minister saying ‘thank you’ to Brian for his outstanding voluntary service. solving heroes who all had an idea they decided to make a reality. Their actions have changed lives and their stories are can inspire thousands more to get involved or start their own initiatives. You can download the Prime Minister’s press release by Clicking here.